Rip Protected and Unprotected DVDs for iPad, Convert Videos to MP4 for Apple iPad! iPad DVD Ripper lets you enjoy your DVD movies and videos on your iPad anytime and anywhere! iPad DVD Ripper supports ripping both protected and unprotected DVD films, as well as converting all SD and HD videos such as AVCHD (mts, m2ts), TP, TOD, H.264/AVC, MKV, MPEG-2 (ts), DivX, HD WMV and QuickTime (mov) to MP4 for iPad. Besides iPad, Any DVD Converter also supports many other media players and mobile phones! The Apple iPad 2 has been out for almost a year now, so it's nearly time to say hello to iPad 3. Want to buy iPad 3 and enjoy all knids of movies on it? 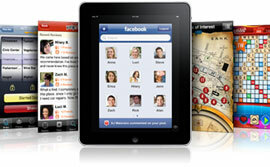 Here you need iPad 3 Video Converter. Any DVD Converter is a powerful, versatile iPad DVD Ripper and iPad Video Converter software tool. It offers you the most robust and progressive function to convert DVD to iPad, AVI to iPad, WMV to iPad, MKV to iPad, M2TS to iPad, RMVB to iPad, FLV to iPad. It also natively supports converting AVCHD (MTS/M2TS), AVCHD lite, HD MKV(H.264, MPEG-2 HD), HD WMV(VC-1), HD MOV(H.264, MPEG-4), HD TS, and more. With iPad DVD Ripper, you can efficiently extract audio from DVD movies, M2TS, TS, WMV and others to AAC, AC3, MP3, M4A, OGG, WAV, WMA and more! Apart from powerful converting feature, editing feature is another selling point of iPad DVD Ripper. With iPad DVD Ripper, you can clip file length to convert certain segment of the video, crop area size to alter the playing dimension, adjust brightness, contrast and saturation to get the best output effect, merge multiple files into one, and snapshot good pictures from the previewing video. * iPad supports H.264 video up to 720p, 30 frames per second, Main Profile level 3.1 with AAC-LC audio up to 160 Kbps, 48kHz, stereo audio in .m4v, .mp4, and .mov file formats. To rip DVD to MP4 format, you got to have iPad DVD Converter. 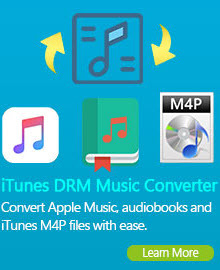 With iPad DVD Converter, the smart DVD to MP4 Converter, you can easily make MP4 videos from DVDs for your Apple iPad. Besides converting DVDs to MP4 videos for iPad, Any DVD Converter can also convert avi, asf, mov, mp4, 3gp, m4v, rm and rmvb to MP4 videos. To rip encrypted DVDs like CSS-protected DVDs for iPad, you should click tab Edit > Options > DVD, and check "Ripping DVD titles in DVDNav mode" option. iPad DVD Ripper can not only convert DVDs but also video files. Armed with an user-friendly interface and fast speed, it makes videos to iPad conversion process quite simple! If you are a newbie, you only need to add any video files; choose iPad output profile from the top right window; and click "CONVERT" button. If you are an expert on video, iPad DVD Ripper also provides variable options to control the specification and quality of output video files. The variable options including video codec, audio codec, frame size, bitrate, audio samples rate, frame rate, external subtitle files, etc. iPad DVD Converter is equipped with built-in YouTube video downloader enabling you to download the YouTube videos in Standard flv, High quality mp4, Mobile 3gp, High Definition MP4 (720p) and even Full High Definition MP4 (1080p). Besides that, iPad DVD Ripper also allows you to batch convert YouTube and Google videos to MP4 file format supported by iPad and many other portable media players and mobile phones. Before conversion, you can customize your video with powerful video editing functions, such as merging multiple video files into one, trimming any segments as you like, cropping frame size to remove black bars from a YouTube movie, personalizing your video with special effects, embedding subtitles to a video, and more! We offer free download and trials of Any DVD Converter on our websites. You can download this versatile iPad DVD Ripper to convert movies for your iPad, iPod, iPhone, Apple TV, PSP, PS3, BlackBerry, etc. Downloads of the DVD ripper are also available on hundreds of software publishing sites. Notable download sites such as www.download.com provide download service of our programs. Compared with other DVD rippers, this iPad DVD Ripper has more settings you can customize and it is easier than ever. 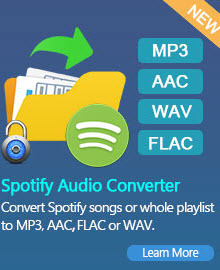 Whatever you are a veteran or a beginner, you can convert the following formats to iPad easily! iPad DVD Ripper is fully compatible with Windows Vista and 7, Windows 8!